The world of publishing is especially crowded and competitive these days, what with the proliferation of new, small presses and self-published titles by the thousands vying for a reader’s attention. That combined with the stifling reduction in book reviews and reviewers makes getting any national-level attention especially difficult–and especially gratifying when it happens. I’m pleased to announce that POLLY AND THE ONE AND ONLY WORLD has recently been nominated for a YALSA Best Book of the Year award and for the Printz Award as well. 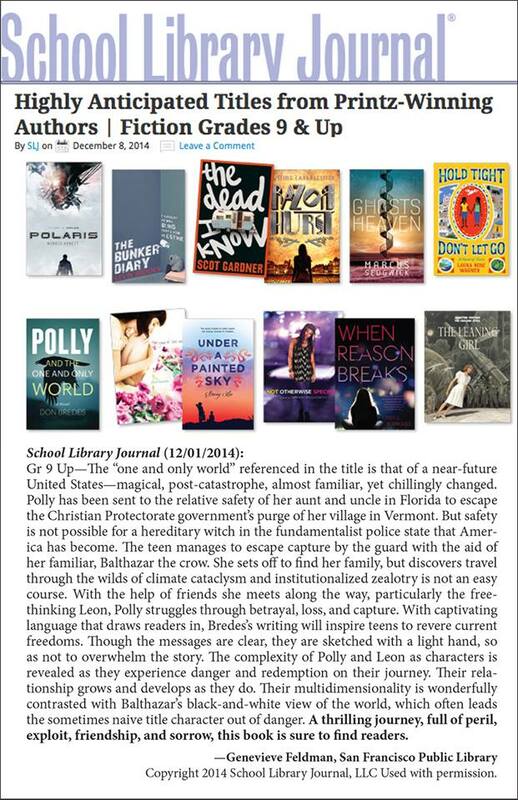 And last week, the School Library Journal, a national publication, gave POLLY a truly glowing review. Great news!